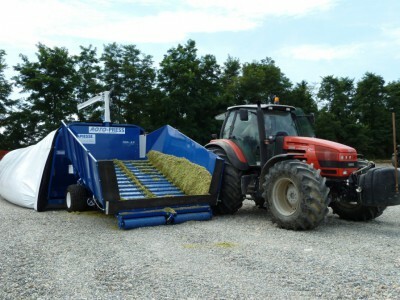 Silage bagging machine self-powered, available with 1 or 2 compression augers, with high bagging performancies. Machine suitable for many type of products to be bagged like : cereals, silage and byproducts. 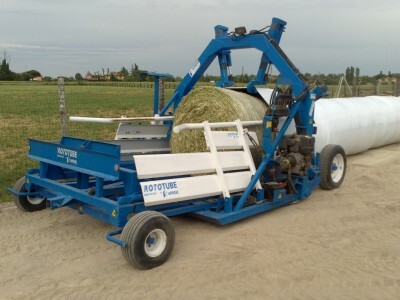 Silage bagging machine Pto tractor powered. Available in 2 versions and 5 tunnel sizes from Ø2,0m up to Ø3,6m. Suitable for corn silage, cereal bagging, grass and other food industry by-products to be preserved in humid status. 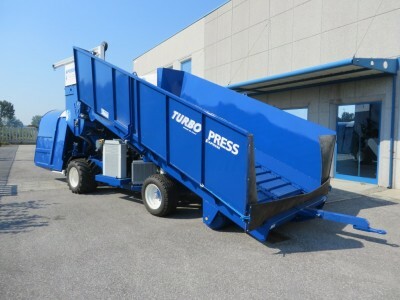 Wide front conveyor suitable to accept any kind of dumping trailer.